Vehicles break down each day all over the country. 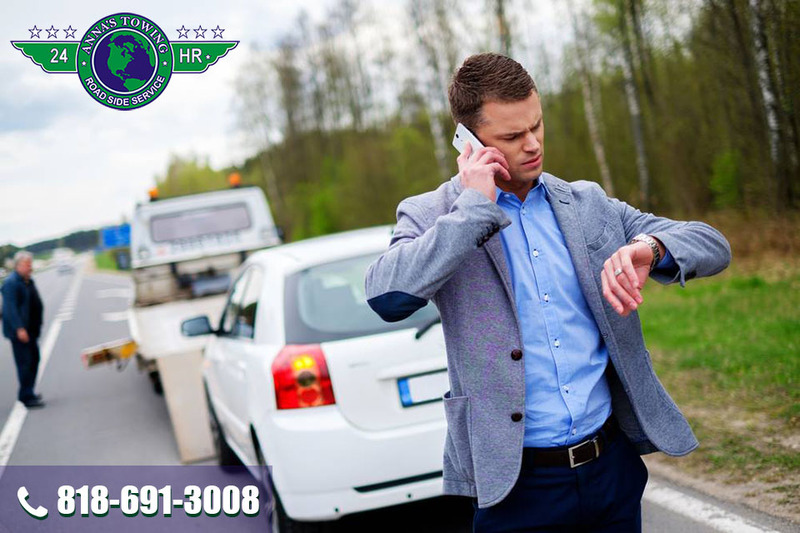 You have probably passed more than a few people stranded on the side of the road with a flat tire, overheated engine or another mechanical failure. Each time you drive past someone in this situation, you thank your lucky stars that it was not you, but the reality is that it could very easily be you the next time. There is no way for you to know when something might happen to your car and it is important that you be prepared for any and all situations that might come along. 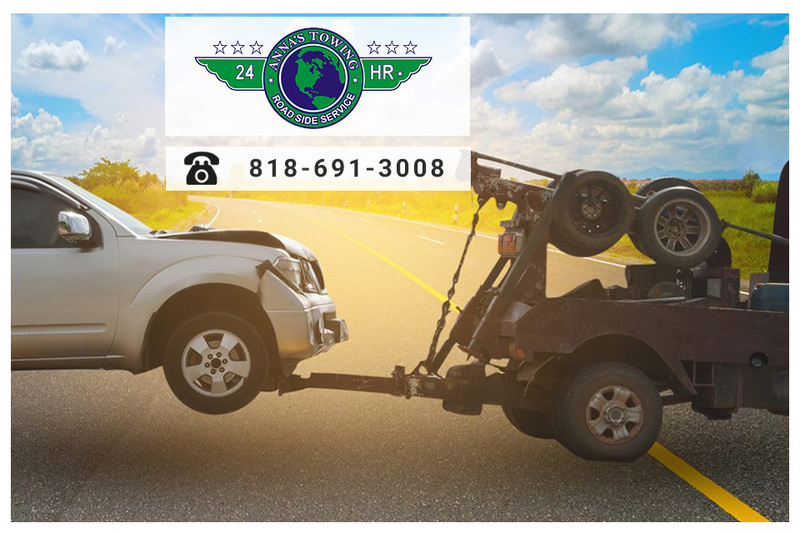 You need to know when you should call for a West Hollywood Towing Service like ours at LA County Roadside Service for help. When most people think of a service like ours, their immediate thoughts go to what we get the most calls about – towing. There can be all kinds of reasons that you may find you need a tow. If you break down on the road and your car, for whatever reasons, will not start or drive safely, you want to call for a tow. You may also find that towing services are needed if you have been involved in an accident and cannot drive your car. Calling for your preferred towing service instead of whomever the police may call can make sure your car gets the attention it needs. You can also call us if you have a special tow needed of a high-value vehicle that needs handling with extra care. 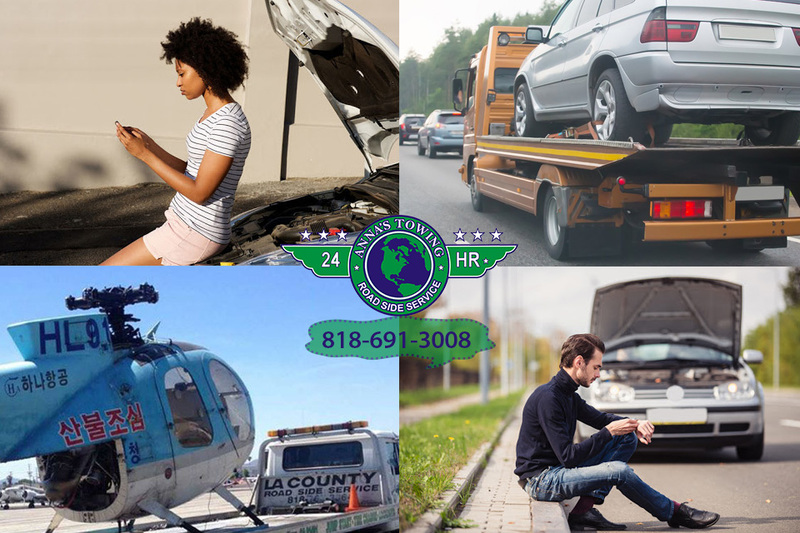 You will find that here at LA County Roadside Service we can be more than just your West Hollywood towing service. 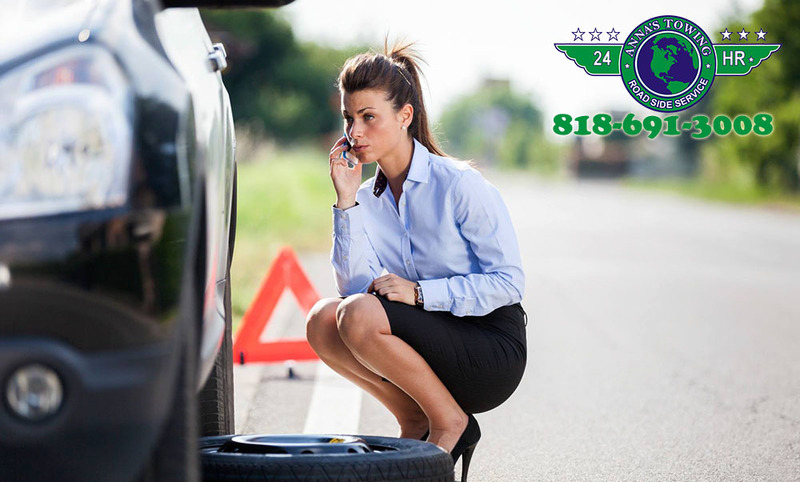 We offer varied types of roadside assistance that can be valuable to you in many situations. We offer services to assist you with changing a flat tire, jump-starting a dead car battery or helping you get into your vehicle when you have lost your keys or locked them inside your car. You can also call us if you run out of fuel and need some gas to help you get to the nearest station. Here at LA County Roadside Service, we are the West Hollywood towing service you want to call when you need help with your vehicle. Make sure to keep our phone number handy, so you can call us at 818-691-3008 so you can phone us when you need help. We are available twenty-four hours a day, seven days a week and are fully licensed, insured and bonded and we will provide you with just the assistance you need.